How does our information work in a retail setting? Paul Casey, owner of The Climbers Shop (Ambleside and Milton Keynes) and the Joe Brown Shops in Snowdonia, has kindly agreed to us running a weekly training session over the next 10-12 weeks, starting Nov 2016. I have been working with The Climbers Shop intermittently since 1958 when I started work in the family business, Karrimor, so I’m delighted to be back again. Times are changing in the industry, with many new threats, current and looming. Speaking as a retired garment manufacturer, (Karrimor and OMM) I don’t think outdoor garments are expensive. The price points are often high, reflecting the huge amount of work and technical textiles in them and choice is now bewildering. I believe that price is not so important as having the right ‘layer’ for the activity, area and season of choice. Product knowledge and the ability to advise may again become key competitive factors in retailing. Independent stores will continue to have a great future because of their flexibility, experience and staff hiring practices. 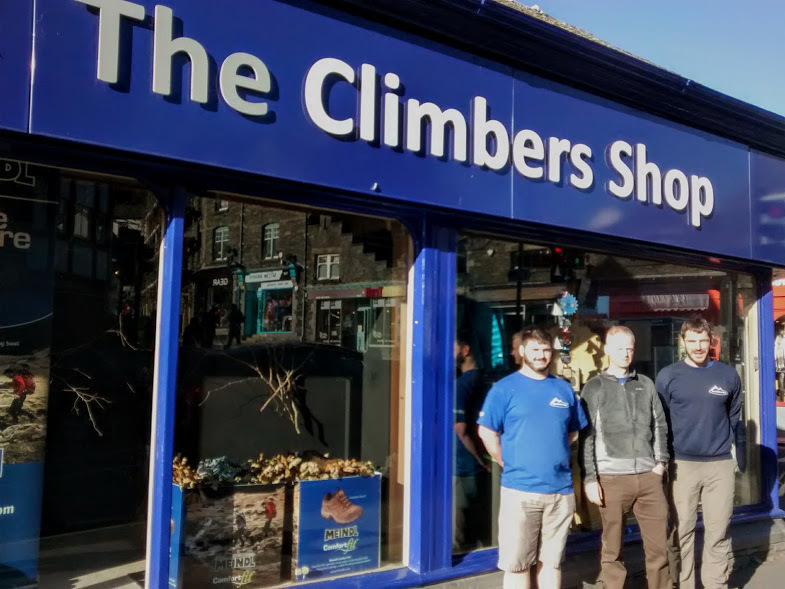 Working with the experienced staff at Climbers Shop will help ensure that what we, OGC, have is usable and useful and makes a difference to their standing with the experienced type of customer who comes through their door.